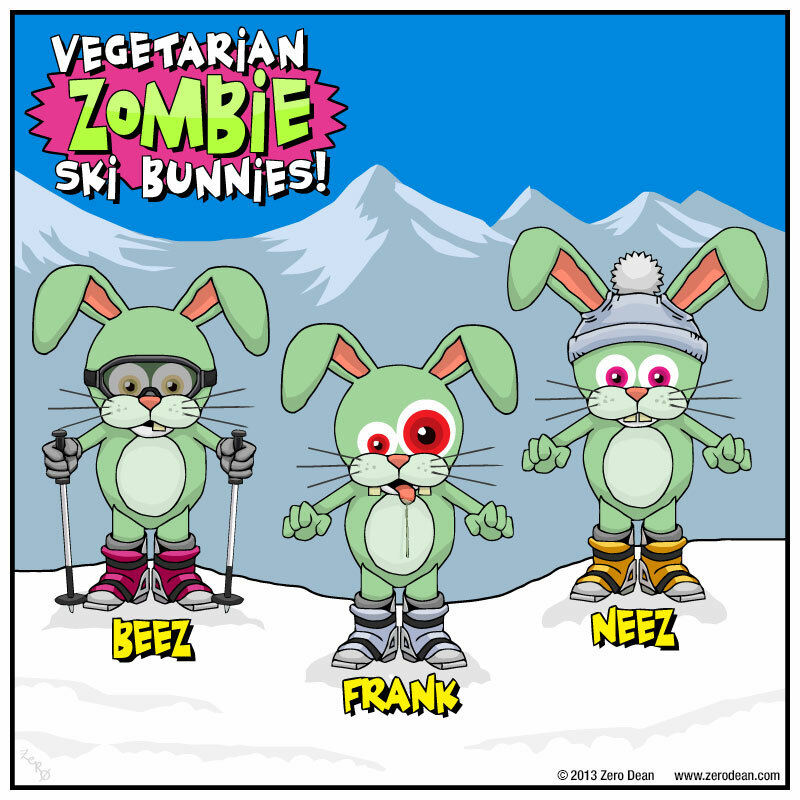 ZDCYC #003 : The Vegetarian Zombie Ski Bunnies! You wanna know who I think is awesome? Note: You can view all comics by list or in storybook order by following the link on the comics page. T-Shirts & stickers now available in the shop!